Mysterious and beautiful, Arnhem Land is a vast area of Aboriginal owned land which is over twice the size of Switzerland. Located in the middle of Australia’s northern coast the area holds some of the largest Indigenous groups in Australia, many of whom have succeeded in maintaining a traditional cultural lifestyle governed by ceremonial laws. Arnhem Land has an approximate population of 16,500 people. It's an incredible place to tour because of it's spectacular landscapes but primarily it's amazing cultural offerings. Arnhem Land comprises of savannah woodlands, sandstone escarpments, pristine river systems, rainforest valleys and coastlines teeming with marine life. When touring this region you can easily spend time visiting most of the above regions on the one tour. Perhaps the largest area left in Australia where Indigenous culture is still dominant, this region is home to the oldest living culture in the world including rock art dating back over 20,000 years. Cultural beliefs vary from clan to clan although it is generally understood that the land and the people were created by spiritual ancestors. They made the rivers, the water holes, the hills, the rocks and all living things. They gave each clan their land, their totems, their laws to live by and their dreamings. Europeans started moving into the Top End of the Northern Territory in the 19th century even though the coast had previously been chartered by the Dutch in the 1600’s. The Macassans (Indonesian seafarers) are believed to have had contact with the coastal Arnhem Land clans even prior to the European settlement of Australia. The Macassans travelled from the city of Macassar in the Celebes (Sulawesi) in Indonesia in search of trepang (‘sea slugs’ or ‘beche-demer’) along the Arnhem Land coast. Explorers such as Ludwig Leichhardt traversed the region in the 1840’s looking for rich pastoral lowlands and anything else beneficial to white man. By the late nineteenth and early twentieth century Europeans had established cattle stations, mining camps and buffalo hunting operations throughout Arnhem Land. Today Arnhem Land remains one of the largest Aboriginal owned reserves in Australia and is perhaps best known for its isolation, beauty and the art and music of its people. North-east Arnhem Land is home to the Indigenous Yolngu people, one of the largest Indigenous groups in Australia, and one who have succeeded in maintaining a vigorous traditional indigenous lifestyle. The artwork of Yirrkala, just outside Nhulunbuy, is internationally known for bark paintings. Many well known musicians/bands have come from East Arnhem Land including the likes of Yothu Yindi and Geoffrey Gurrumul Yunupingu. The community of Gunbalanya (previously known as Oenpelli) in Western Arnhem Land is also world renowned for bark paintings and fibre craftwork. Access into Arnhem Land is now controlled by the Northern Land Council and permits are required to enter. Only a selected few tour operators have earned the trust of traditional landowners and may bring visitors into the area. 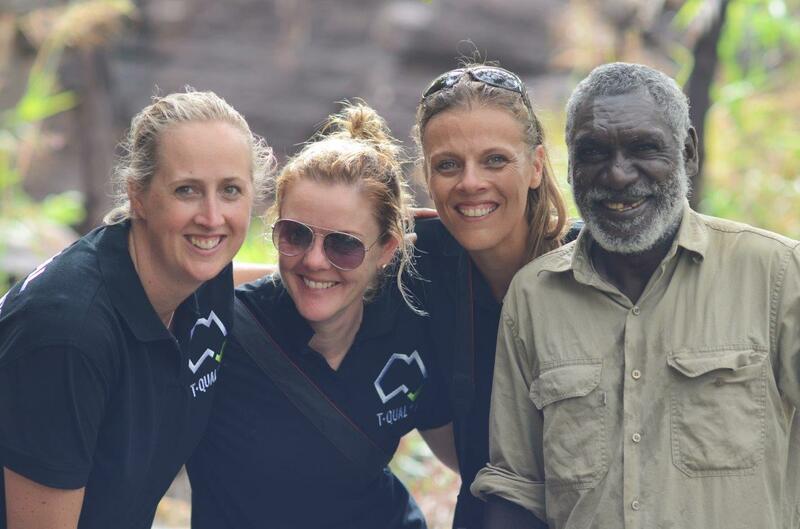 Venture North offers both scheduled tours as well tailor-made cultural safaris throughout north, west and eastern Arnhem Land.